Do your friends tell you how beautiful handwriting you have or you secretly (or unabashedly) admire your own handwriting then this is a contest for YOU!! 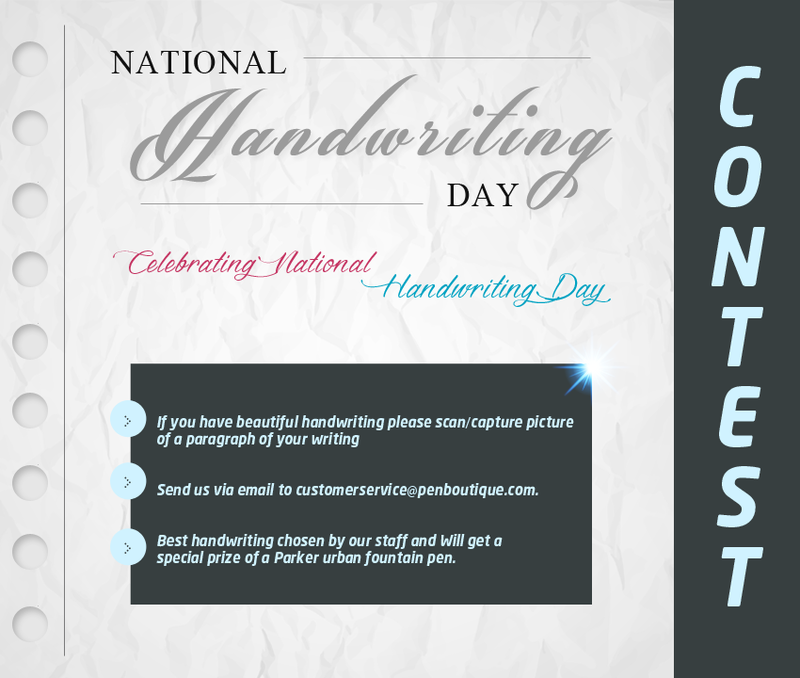 To celebrate the National Handwriting Day, January 23, 2015, Pen Boutique brings to you a contest, where you can flaunt your handwriting skills and win a fantastic prize while doing so – the prize is a Parker Urban Fountain Pen. 2. 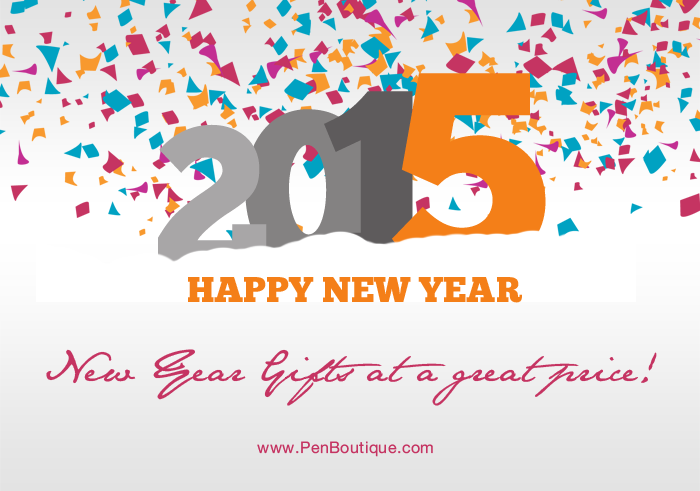 Send it to us via email at customerservice@penboutique.com. The aim of this contest is to remember the purity and simplicity of picking up a writing instrument and jotting down words in swift strokes of your hand. It is also an attempt to resurrect the lost art of handwriting. The day also celebrates the birthday of John Hancock, an American founding father who was the first to sign the United States Declaration of Independence and whose handwritten signature is the most prominent and recognized of them all. 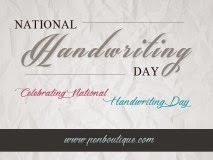 Our staff here at Pen Boutique will choose the best handwriting of the lot and select the winner. All USA citizens are encouraged to participate. International customers are welcome to participate but shipping will be additional and you can also add it free to your any pending orders. 1.) This giveaway/contest is void where prohibited by law. The contestants assume the total responsibility of knowing their local laws in regard to "National Handwriting Day" Contest and are subject to any local, state, national or international laws. Friendship Circle accepts no responsibility for making these individual legal determinations. 7.) Winners must verify their email and shipping address when contacted. For those who are feeling a bit leery about taking a leap into the world of fountain pens, I have a solution for you that will not only give you a fine writing experience but is also an economical one. 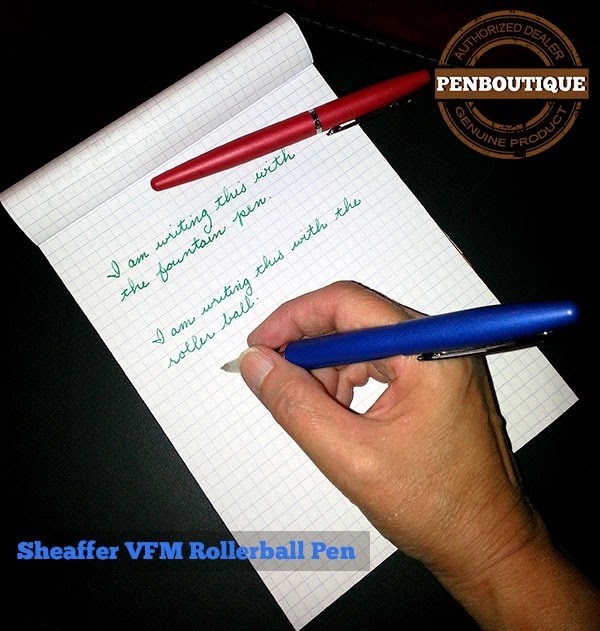 The Sheaffer VFM line, so named because they are Vibrant, Fun and offer Motion, are a recommended place to start your journey. The line comes in fountain pen, roller ball and ball point. I own a fountain pen and roller ball. I get a kick out of some of the descriptive, inventive color names including: "Chilled Blue," "Excessive Red," "Strobe Silver," and "Ultra Mint." The satin color finishes and nickel plated trim showcase the sturdy, though not heavy, stainless steel metal body. Both VFM pens I own post tightly and clip securely. The fountain pen can use a standard international cartridge which will open up your opportunities to explore various colors and the easy ability to replace your cartridge, due the the standard international cartridge availability. It glides smoothly and the pen weight feels comfortable in the hand while scripting. Not needing a Sheaffer propriety rollerball refill, you again have the option to test various colors refills. I currently have a Schmidt green refill. The Sheaffer VFM line affords the opportunity to investigate writing instruments in bright colors and various style types in a way that is both fun and affordable.